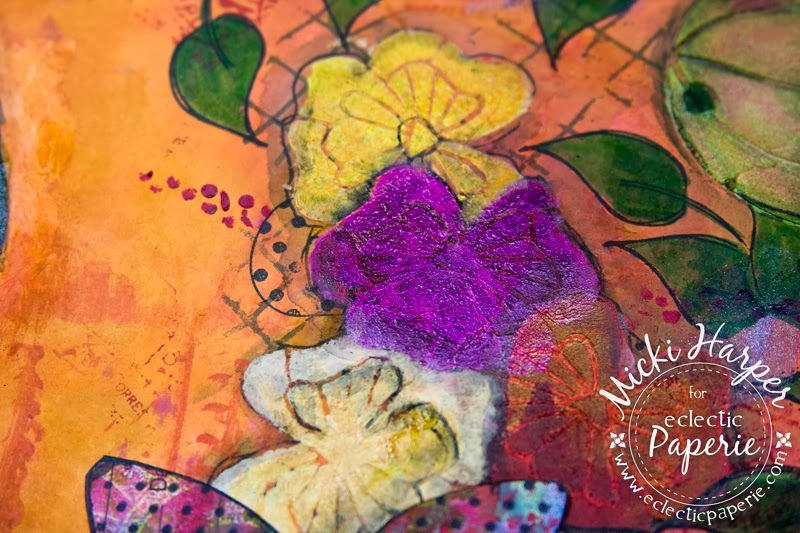 Hi everyone, Micki here to share an unexpected result while playing with my Gelli Arts gelli plate yesterday. 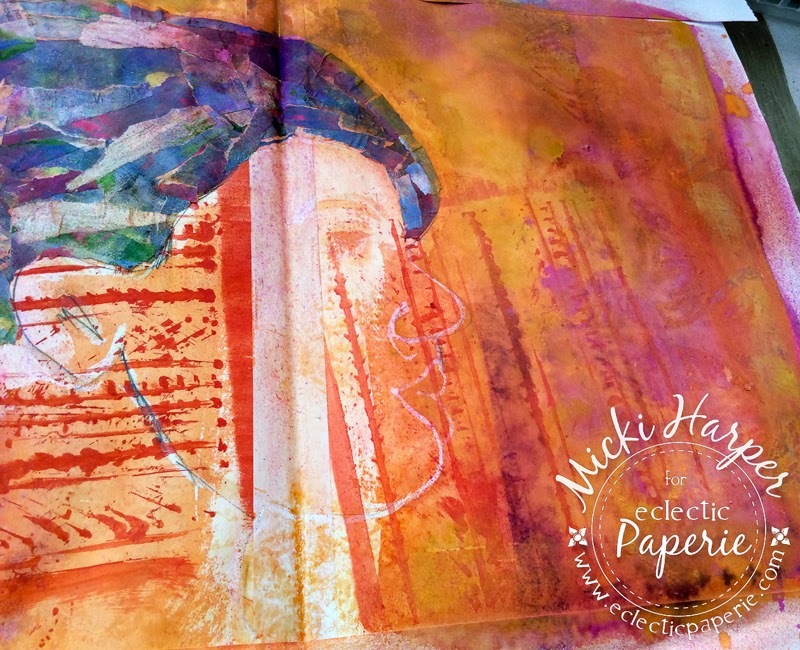 Of course having lots of gelli plate prints, I used some in my art journal. But first, the gelli plate experience. 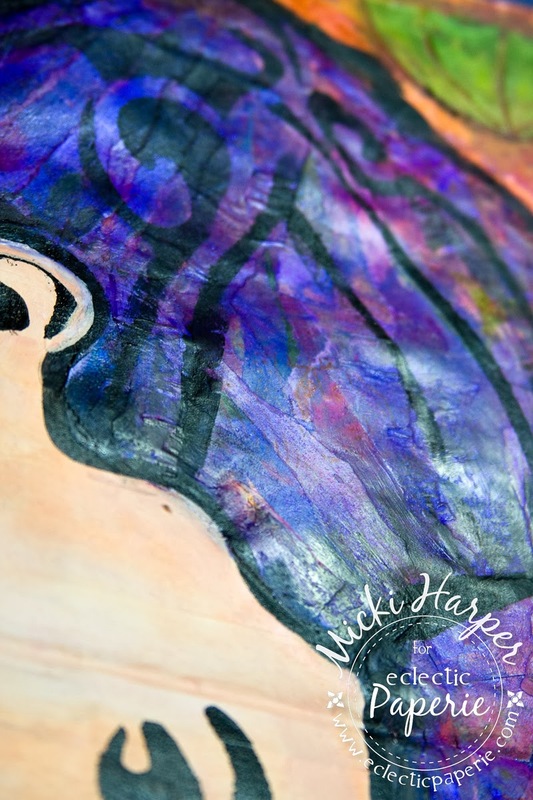 It's been a while since I had used the Gelli Plate which means that I have to get a feel for how much paint to put on the plate. And that means that I always tend to get too much on the first couple of tries. 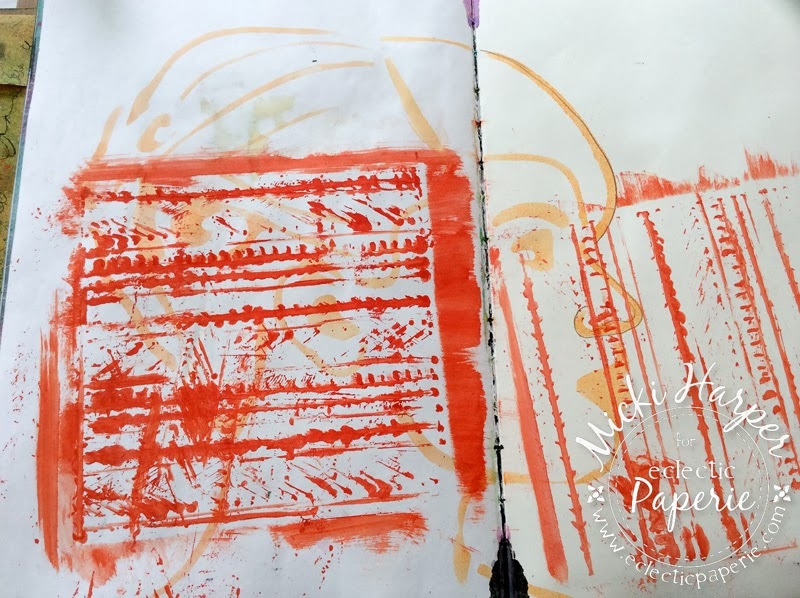 I started to pull prints (I used deli paper and old book papers), realizing after pulling the first and 2nd prints that had put on way too much paint. 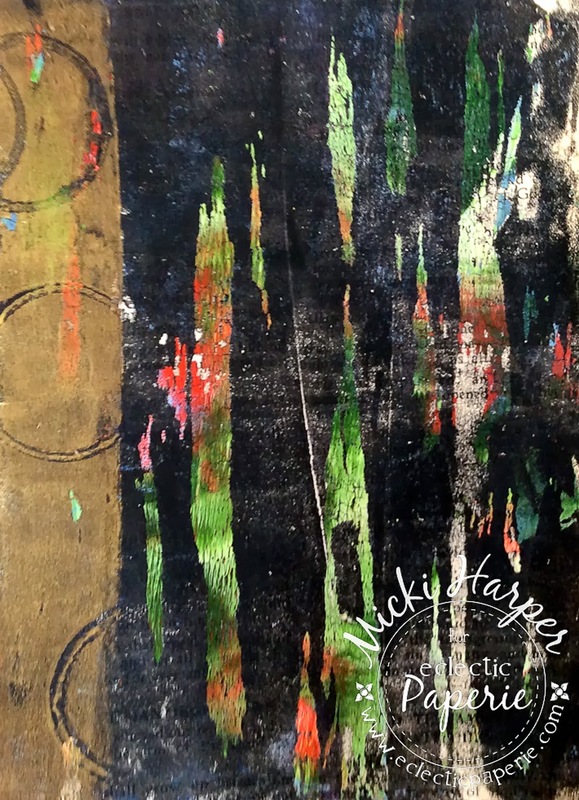 I put those aside and continued to pull two more prints from the same paint covered gelli plate. Didn't think anymore about it, cleaned the plate to try another color combo when I saw that some of the paint on the deli paper prints were still wet. Actually, on some spots where was enough paint I could have used my palette knife to remove it. 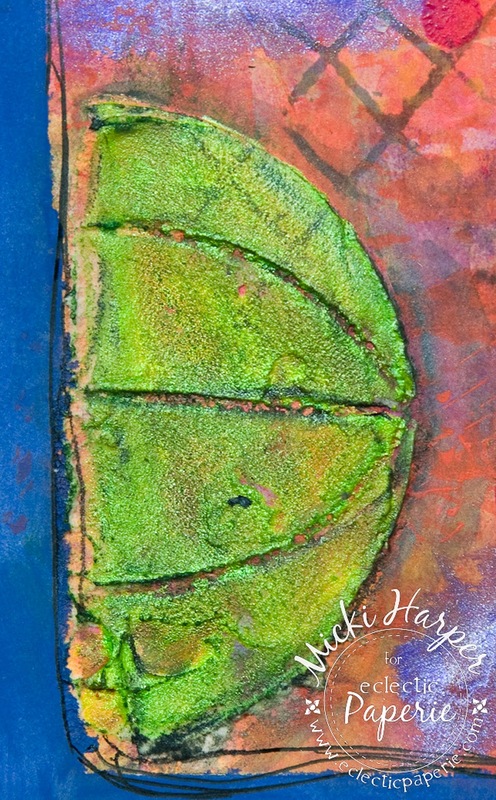 Ok, so not thinking, I layed the "still wet" printed deli paper back on the now cleaned gelli plate. 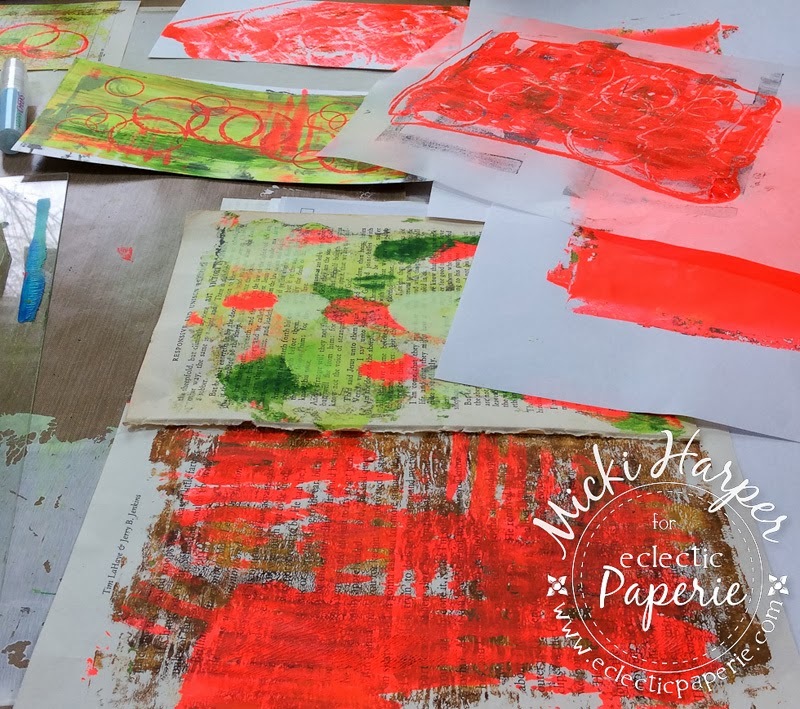 Applying pressure all over with my hands and pulled the deli paper off the gelli plate. Now to my art journal page. 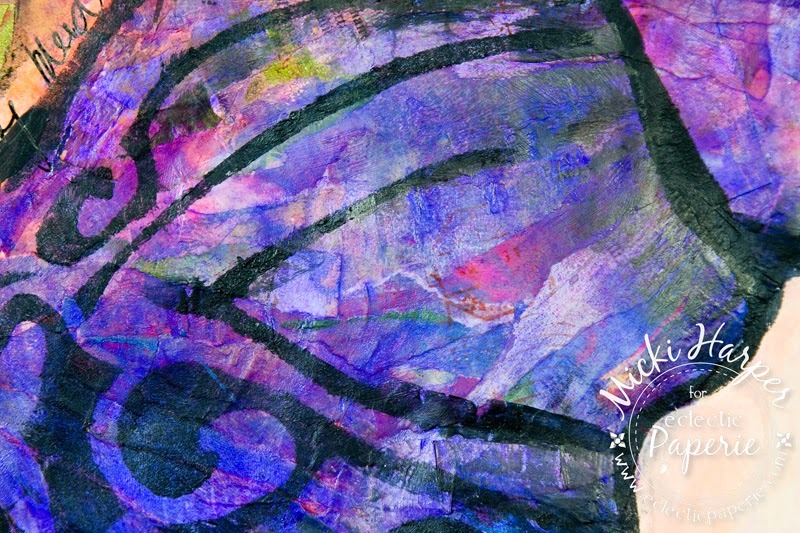 I had this idea of using some of the gelli plate prints for hair, as in paper piecing the hair on TCW 12x12 Profile Stencil. I wanted to do the paper piecing first before I stenciled the face. So that I would have a general idea of there to glue the printed pieces, I used Dried Marigold Distrss Stain to stencil the face - light enough but still visible. I used the Umbrella from Wendy Vecchi Studio 490 - Rainy Day Stencil as a corner embellishment by masking off the handle and stenciling it in each corner with Studio 490's White Embossing Paste. Once the paste was dry, all four were colored with Splash of Color's Key Lime Silk Acrylic Glaze. Since I had the glazes out, I gave the hair a watered down was using Splash of Color's Boysenberry Silk Acrylic Glaze. I added some background texture using several older Studio 490 stamps. I love Studio 490 Vintage Flower stencil which I stenciled in a cluster -giving each flower several coats of paint and making sure to that it was dry completely before overlapping and stenciling the next flower. The leaves are from Dylusions - Around The Edge set, stamped in Jet Black Archival ink and colored with Faber Castell Big Brush pens. I used Faber Castell markers to go over the stenciled flowers for some depth. 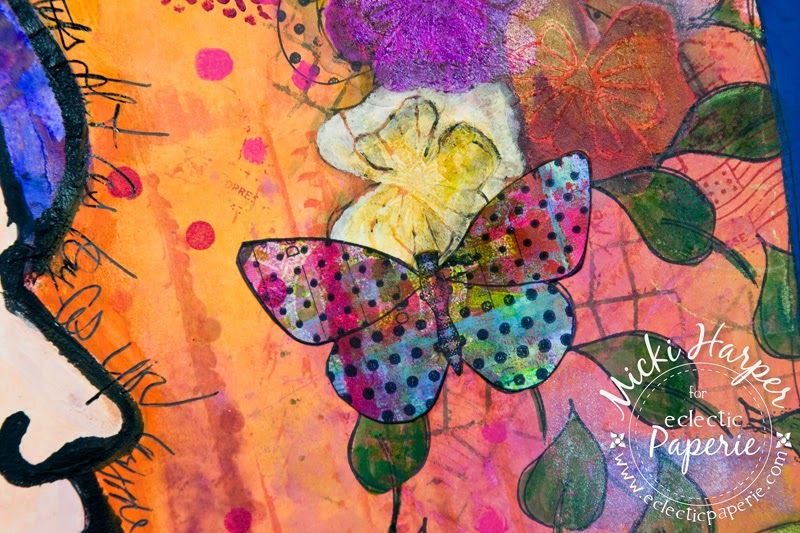 The butterfly was stamped onto another gelli plate print, cut out and glued to the page (to cover a boo-boo). The face was filled in first with white gesso, then with Dried Marigold Distress Stain. The gesso was still a bit wet so when I used a brush to blend the stain, it mixed and made it more opaque. 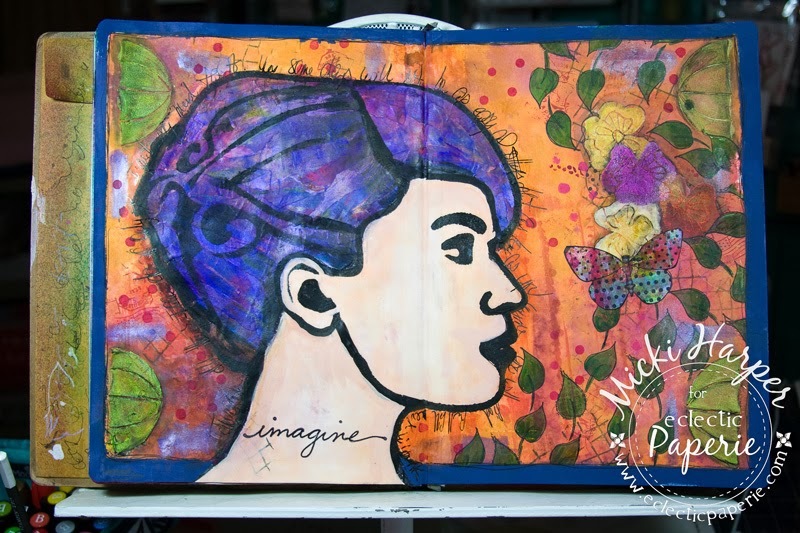 Added journaling Dina Wakley style around the profile, some shading with gelatos and markers and added a border with Chipped Saphire Distress Paint. I couldn't decide where to stamp the word "imagine" from Unity Stamps - Inspire Words by Donna Downey and settled to stamp it on her neck. It's ready to go when inspiration hits! Thanks for stopping by and hanging in there with me. Hope I made sense in my explanations. And I hope it inspired you to grab your art supplies and have fun! Wow! 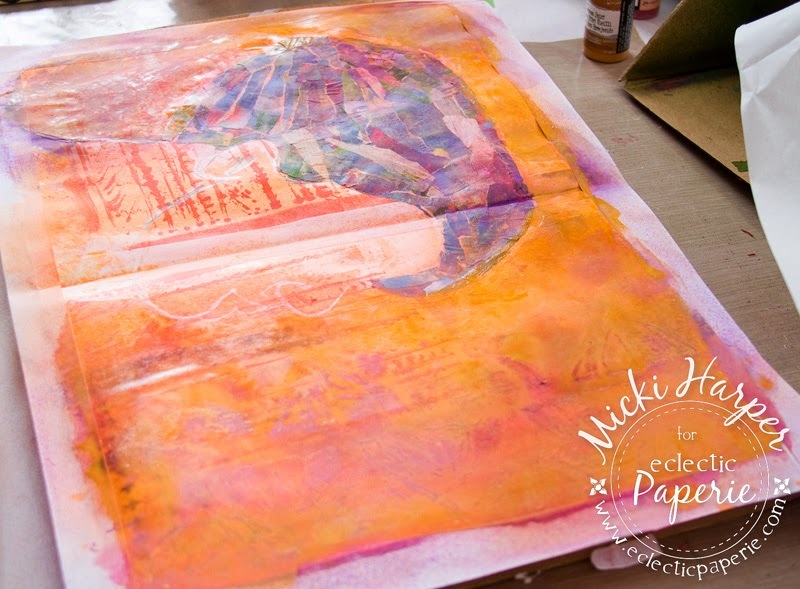 amazing Journal page Micki! thanks for sharing the process and techniques of making this! What a beautiful end result, love the hair too. 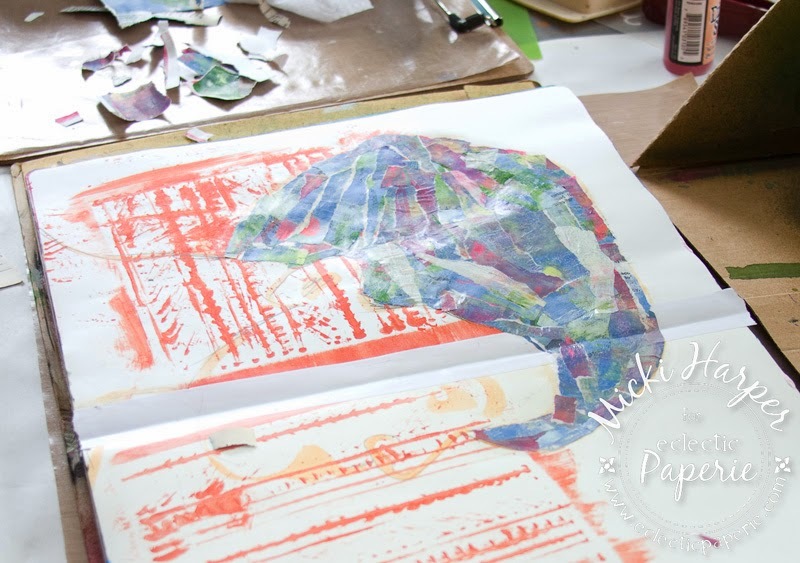 I am slightly terrified to use a Gelli plate but the more I see the more I want one! LOVE LOVE LOVE the hair and the pages you created! 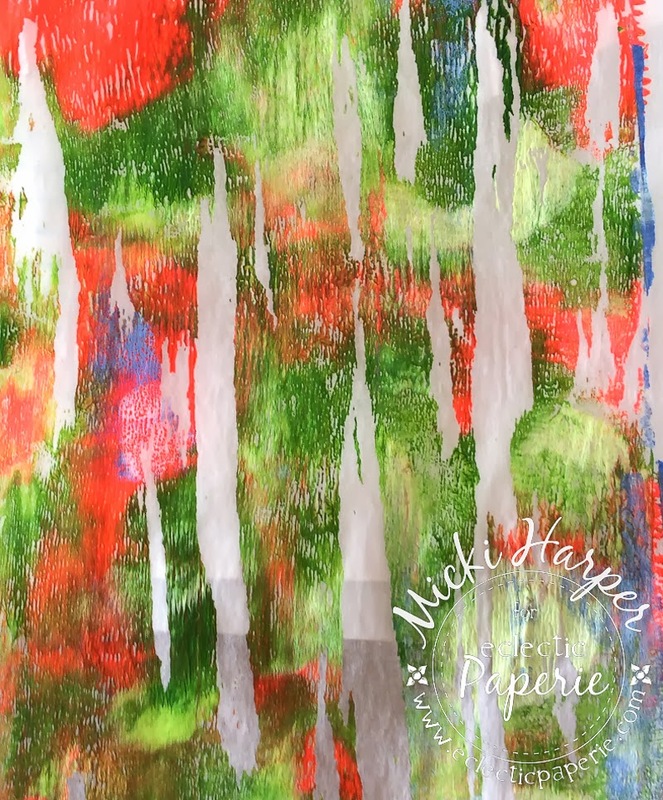 The silks really made it vibrant! 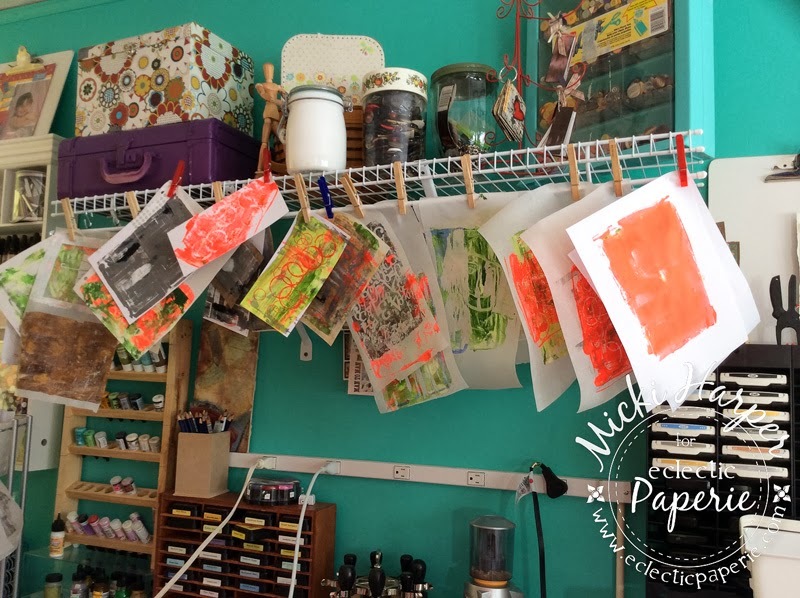 Can't wait to see what you make with that other BG, Micki! This is so awesome, Micki! I love "hearing" your narrative and I LOVE the beautiful vibrant colors!! Micki this turned out awesome! 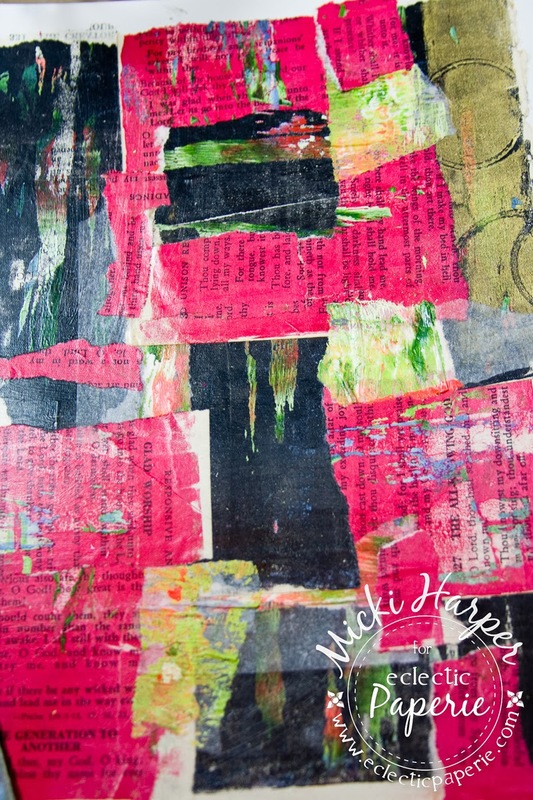 I loved your happy mistakes with the gelli plate and your color combos are phenomenal. 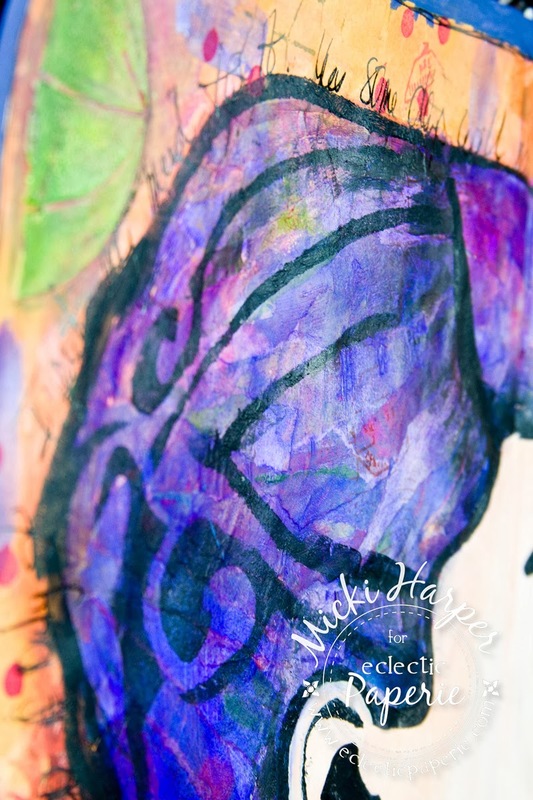 Love that tiny butterfly 'boo-boo' cover-up! What a lot it adds to an already beautiful piece. 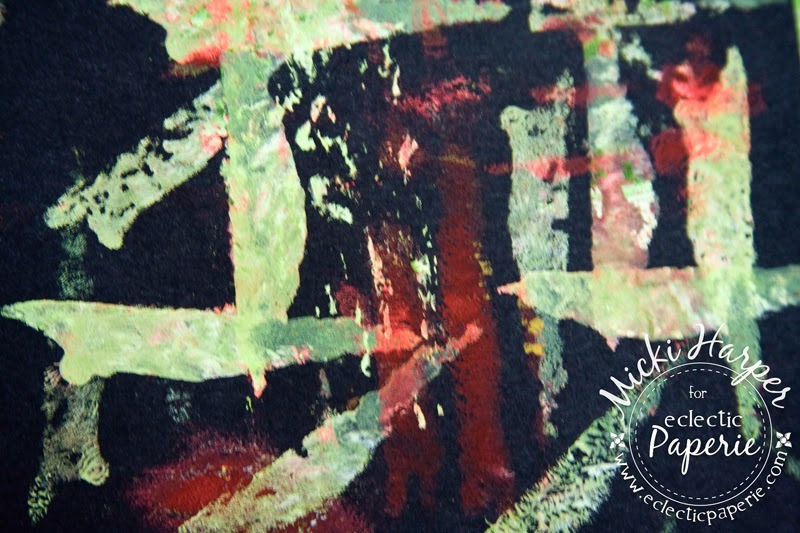 Have I told you lately how much I looove your work Micki?